Nitecore NFF01Mixer is a great device for mixing e-juice. It will help you to get great cloud and optimal flavor. Easy to use. This is an advanced e-juice mixer specially designed for mixing e-liquid. Vapors will be able to enjoy the mixture of e-juice for massive clouds and optimal flavors as they wish. It adopts an adjustable rotational speed from 70 to 1200 revolutions per minute. The heating temperature is selectable between 35 to 70℃. The most important feature is the intelligent mixing mode: PMM and SMM, to suit your desired mixing needs. The simple user interface shows all the data in a clear and easy way. EURO Plug and US Plug for your selection. • Distributors / Wholesalers may have some risks to sell Nitecore products in Germany from exclusive distributor. 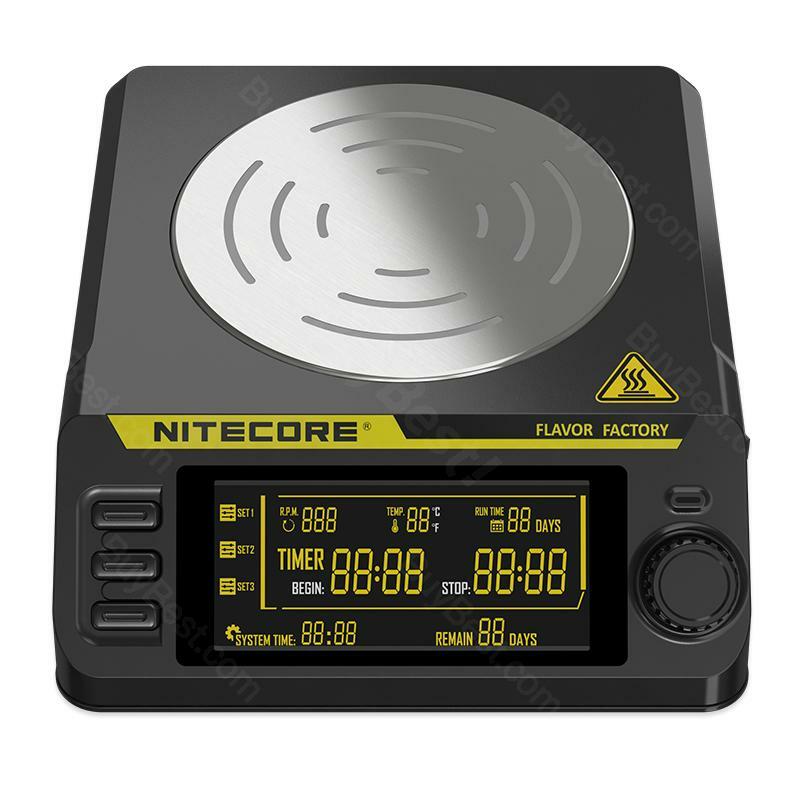 • According to the factory's requirement, defective Nitecore products must be sent back to us for replacements. Thanks for your understanding. Produit conforme et très efficace pour mixer vos préparations. Je recommande l’achat de ce produit et Buybest Très satisfait de mon achat. Very interesting product. I'm still working on it. This E-juice mixer seems nice. I'm learning on my own juices lol.